FREE True Fidelity Noise-Canceling Headphones! Down From $100! You are here: Home / Great Deals / FREE True Fidelity Noise-Canceling Headphones! Down From $100! 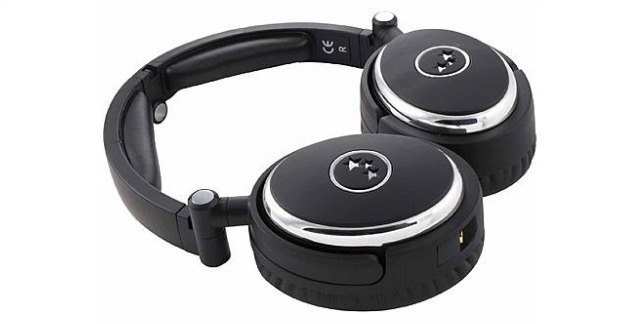 Sears has these True Fidelity Noise-Canceling Headphones for just $99.99 and Shop Your Members can get back $99.99 in points, making then FREE! Plus you can get FREE in-store pickup or FREE shipping on orders over $35! The Able Planet True Fidelity® Around-the-Ear Active Noise-Canceling Headphones feature award-winning LINX AUDIO®, a Hear the Difference® technology. InWire™ volume control makes for easy adjustments to safe listening levels, and the ultra-comfortable design makes these headphones the perfect travel companions.